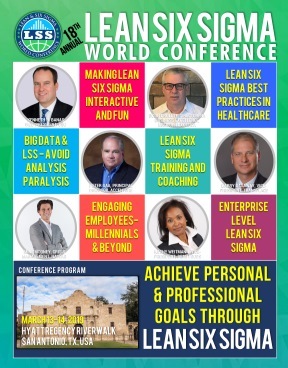 Lean Six Sigma World Conference - Wheeler, Donald J.
Dr. Donald J. Wheeler is a consulting statistician who worked with Dr. W. Edwards Deming for over 20 years. He is a Fellow of both the American Statistical Association and the American Society for Quality, and was awarded the Deming Medal in 2010 “for excellence in the application of statistics in industry worldwide.” He graduated from the University of Texas with a Bachelor’s degree in Physics and Mathematics, and holds M.S. and Ph.D. Degrees in Statistics from Southern Methodist University. From 1970 to 1982 he taught in the Statistics Department at the University of Tennessee where he was an Associate Professor. He has conducted over 1100 seminars in seventeen countries on six continents. He is author or co-author of 25 books and over 300 articles. Through these seminars, books and articles he has had a profound impact on companies and organizations around the world.